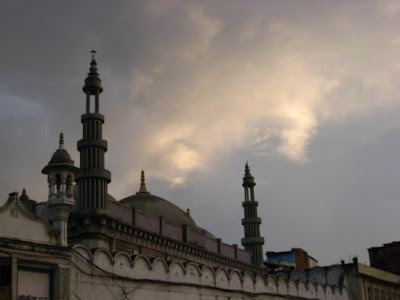 Historical Background: The first Muslims, who were Kashmiri traders, arrived in Kathmandu valley in the 15th century. A second group arrived in the 17th century from Northern India, and they manufactured small armaments for small hill states. The descendants of these early immigrants speak Nepali and are indistinguishable from upper-caste hindus. The largest group is the Terai Muslims, many of whom arrived before unification. Others gradually drifted north from India, especially following the war of independence in 1857. Many of them still have strong ties with the Muslim communities in the Indian states of Bihar and Uttar Pradesh. 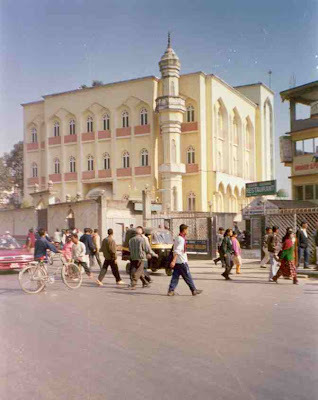 A number of Tibetan Muslims arrived in Nepal following the 1959 Chinese takeover of Tibet. Unlike India, where communal tension is a major problem, Nepal's Hindu and Muslim communities coexist peacefully. The majority of Muslims live in the Terai. The Terai Muslims speak the dominant languages of the area where they live, whilst the Hill Muslims use a variation of Nepali sometimes known as Churaute. 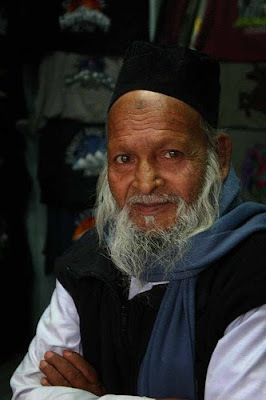 This however is not a term they would use themselves; Hill Muslims say that they speak the ‘language of the Muslims’, thus reaffirming a unique group identity.Some Muslims, such as Ali Miya, should be remembered and acknowledged for their contribution to promoting Nepali folksongs. Angered by the Maoist government’s failure to form the promised Muslim Commission and the imposition of a controversial quota ordinance, Nepal’s minority Muslim community is on the warpath, announcing a series of bandhs to pressure Prime Minister Pushpa Kamal Dahal Prachanda into heeding their demands. The newly formed United Muslim National Struggle Committee has called a Kathmandu valley bandh Sunday, to be followed by a strike in the eastern region on March 22, a bandh in the west the day after and two more closures in the central region and midwest on March 25 and 27 respectively. The protests were announced after a torch rally in the capital Thursday, in which dozens of Muslims took part, demanding the Muslim Commission that Prachanda had promised them last July after his party won the election. In addition, the community is also asking for an amendment in the interim constitution which makes provisions for disadvantaged groups like women, Dalits, and ethnic communities but does not mention Muslims. Till 2006, Nepal was the world’s only Hindu kingdom where Muslims, though living in harmony, remained among the poorest and least-literate community, mostly eking out a bare livelihood by farming or labour in the Terai plains along the Indo-Nepal border. This year, the Prachanda government’s decision to reserve 45 seats for backward communities in the now secular republic has stirred up a hornets’ nest. The Muslims, along with ethnic groups from the Terai plains, fear that the reservation policy will favour the Madhesis, people of Indian origin also living in the Terai. They are now demanding an amendment in the constitution so that Muslims are included as a separate group among disadvantaged communities. Like other protesting groups, Nepal’s Muslims too want proportional representation in all state organs on the basis of population. 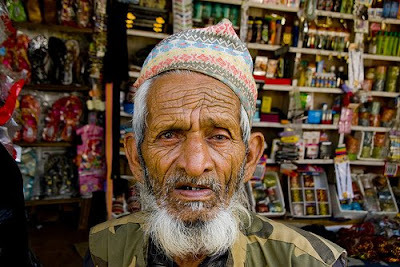 According to Taj Mohammad Miyan, the convenor of the protesting committee, the last census of 2001, which put the Muslim population at over 4 percent of the 27 million population, is grossly inaccurate With Nepal’ population now exceeding 29.5 million, he estimates Muslims to comprise nearly 10 percent. Muslims are now demanding a new census in order to be better represented. The announcement of the bandhs comes after a 15-day ultimatum given by them to the Prachanda government. The flexing of muscles occurs at a time the coalition government is already reeling under a 12-day bandh called in the Terai by the Tharus, a people who were the original residents of Terai descended from the Buddha. The bandh by the Tharus, who too are opposing the quota policy, has raised the spectre of a fuel and food shortage in the capital and hill districts. Gas stations in the capital have been running dry and the remote western districts suffering from acute shortage of food and essential items. "We expected that our 'New Nepal' would not discriminate against us but we are still being treated as refugees," said Muslim journalist Rahamatulla Miya. The "New Nepal" concept has been popular since the end of the decade-long armed conflict (1996-2006) which ended with the abolition of the 300-year-old monarchy, but for minority ethnic groups, the situation has barely changed. "The Muslims want recognition of their identity and proper representation in the constitution and not to be categorised as Madhesi or any other community," said Attahar Hussain, president of Muslim Mukti Morcha, which rallies Nepalese Muslims. Muslim community on Saturday made public its six-point recommendation on the new statute demanding an 'equal share' in the new set up. Organizing a discussion programme with Constituent Assembly members and representatives of political parties in Kathmandu, the Nepal Muslim Sangh requested the Constituent Assembly to address Muslim community's concerns for a separate identity, establish a strong Muslim commission, a Madarasa board, and a Hajj committee, and to formulate the Muslim personal law based on the Islamic religion in the new constitution. Coming down heavily against the political parties, Muslim leaders claimed that their community has been exploited so far as a 'vote bank'. Lets hope the issue is resolved peacefully.